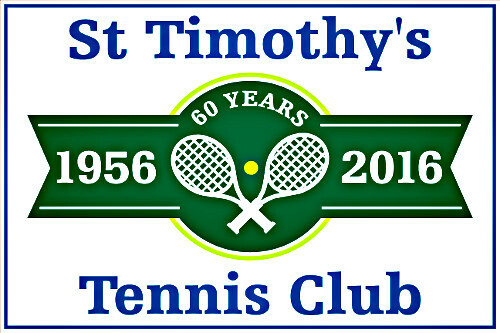 St Timothy Tennis Club is proud to celebrate it's 60th anniversary in 2016. We are located in Catonsville, MD at 200 Ingelside Ave near St Timothy Lane. We are an outdoor club and our season generally runs from late April to November of each year. We open from 8:30 am to dark, Monday to Saturday and 9:00 am to dark on Sunday. We have about 150 active members and new members are always welcomed. We offer 5 Har-tru clay tennis courts. There are many leagues that we participate in and we have several round robins that allow new members to mix with established members. 2018 kids summer camp starts on Jun 18. Download the flyer and Consent Form.